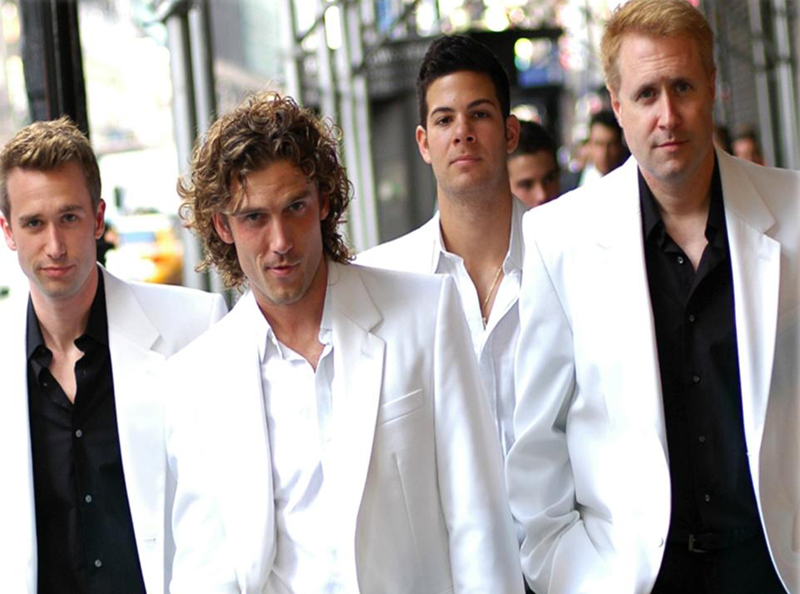 For the last three years, The Unexpected Boys have amazed audiences with their award-winning tribute to Frankie Valli and The Four Season/Jersey Boys. They have headlined all over the world and opened for such celebrities as Diana Ross, Dionne Warwick, and Chubby, and were recently featured on the season finale of the Real Housewives of New York on the Bravo Network. This show grabs a firm hold on its audiences in the most unexpected ways, with playful Jersey wise guy antics, a tongue in cheek love story scenario, and Rat Pack repartee all set to the music of the legendary Four Seasons. Don’t miss your chance to see four Broadway veterans sing hits like “Sherry,” “Big Girls Don’t Cry,” and “Walk Like a Man” in a performance you will never forget!